When I was in primary school I had an amazing best friend called Charlotte. We were pretty inseparable. I can remember there were a few occasions where her mum would come and pick us both up from school and take us back to their house for a home lunch. (How fun is that, to have a home lunch with your best friend!). Charlotte came from a lovely family of healthy eaters and spending time in her home at a young age gave me an insight into a lot of new and healthy foods. I can remember eating watercress soup, fish pie and tuna sandwiches on brown bread. It was always amazing! When we weren’t having our lunchtime play dates, Charlotte and I would sit together in the lunch hall. She always had healthy and exciting things to eat, including cous cous. I had never seen cous cous before I saw it in Charlotte’s lunchbox and I thought it was the coolest thing ever! I didn’t get to try it until I was quite a bit older, but when I did I loved it and I thought of my lovely friend and her beautiful family, so grateful for their influence in my young life, which has helped shape who I am today. 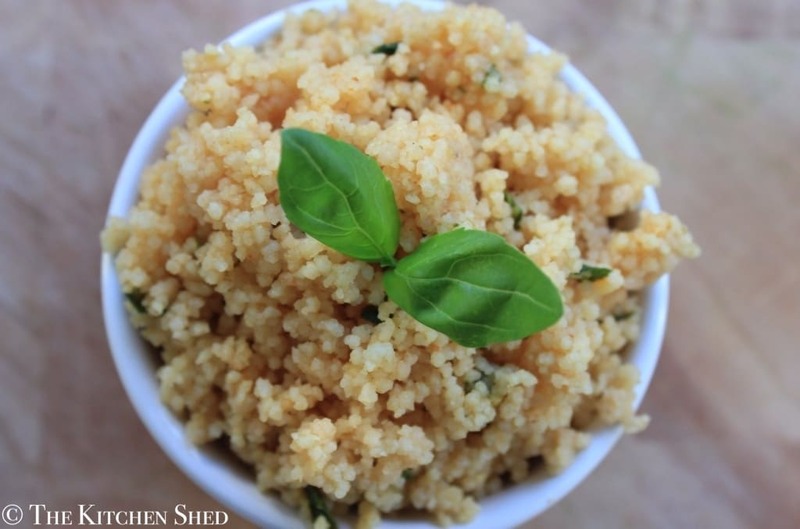 My boys really loved this Clean Eating Tomato and Basil Cous Cous. It is light but full of flavour and you can eat it with anything. It’s fun, quick and easy to prepare and makes a great clean eating complex carbohydrate when you are in a hurry. Has anyone inspired you to eat healthier? 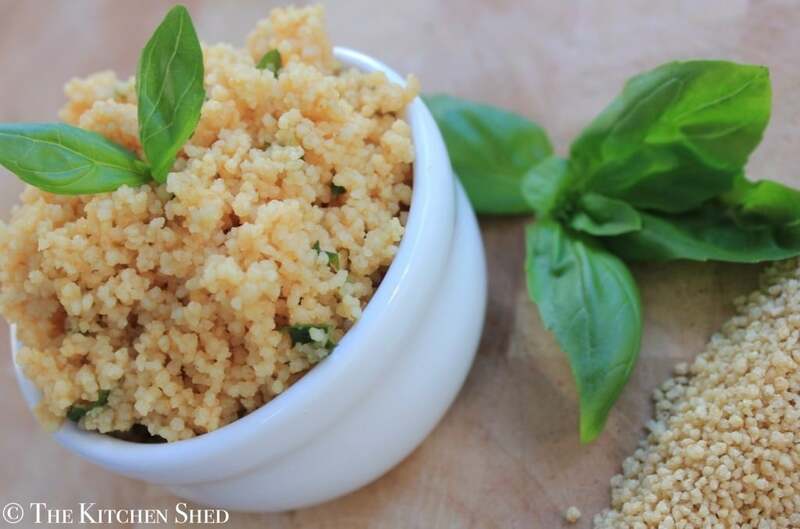 Clean Eating Tomato and Basil Cous Cous is light but full of flavour and you can eat it with anything. It's fun, quick and easy to prepare and makes a great clean eating complex carbohydrate when you are in a hurry. Once you have boiled a kettle of water, place the tomato puree in a saucepan and slowly whisk in the 500ml of water until the tomato puree is dissolved. Add the stock powder, onion powder and garlic powder and bring to the boil over a high heat. 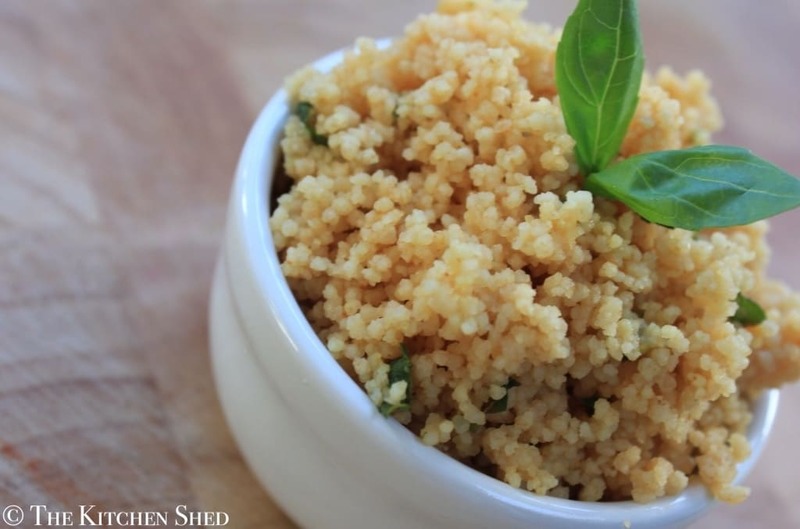 Once bubbling, turn off the heat and stir in the fresh basil and cous cous. Place the lid on the saucepan and let it sit for 5 minutes. After 5 minutes, remove the saucepan lid and fluff the cous cous up with a fork. Serve warm, or cool and store in the fridge. So quick and easy to make. Plus it tastes great and my girls love it!